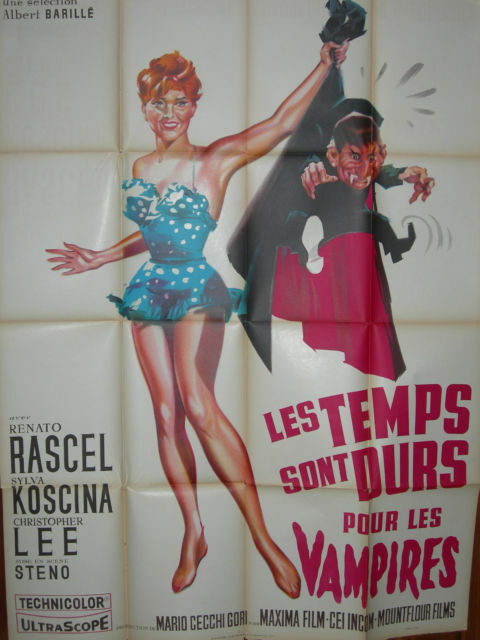 Eddie Munster Meets Planet of the Apes? 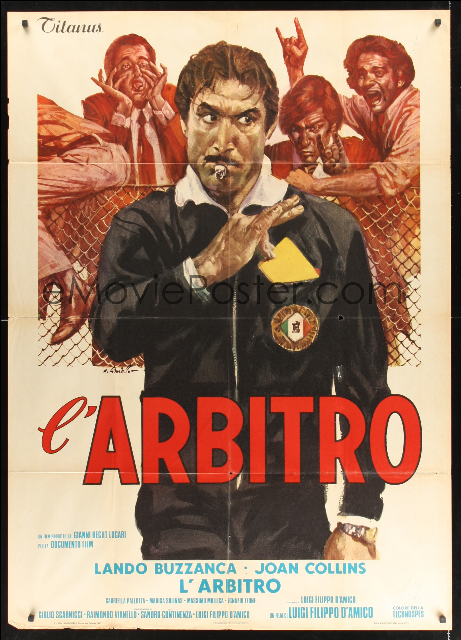 Like most movie stars, even great poster artists sometimes did the work for a paycheck. 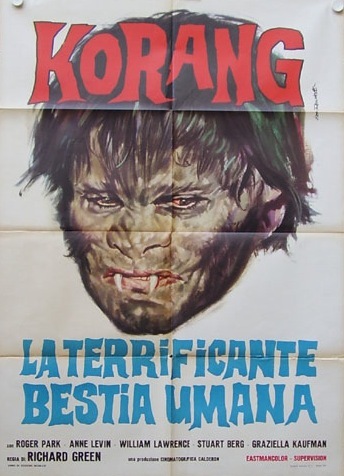 Case in point: this scary-looking Mexican horror flick by Italian legend, Ezio Tarantelli, called Korang: Night of the Bloody Apes — as he appears alongside his weird French cousin. 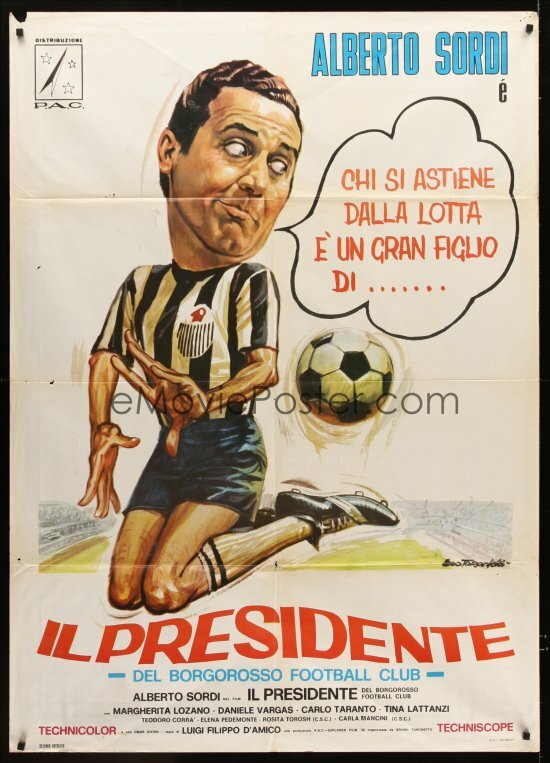 In honor of yesterday’s big win by the U.S. soccer team at The Womens World Cup, here’s a few silly soccer-themed movie posters from such great Italian artists as Averardo Ciriello (left) and Ezio Tarantelli (right).